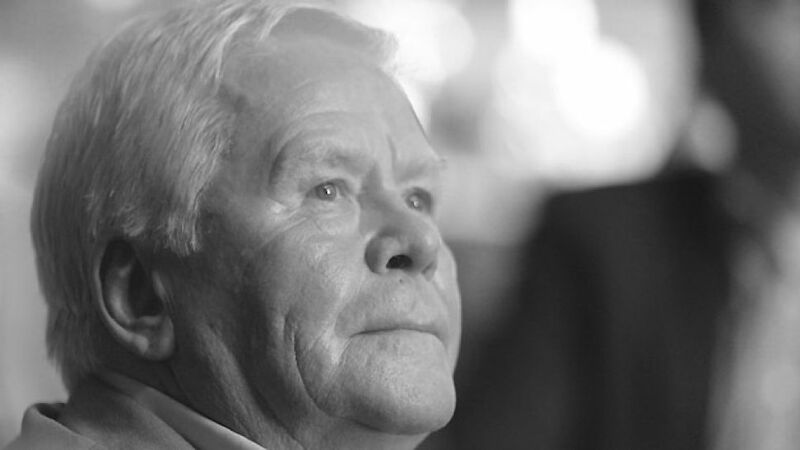 Augsburg - The Bundesliga and the whole of German football are mourning the loss of former Germany striker Helmut Haller, who died on Thursday at the age of 73. Haller made 33 appearances for the German national team between 1958 and 1970, scoring 13 times. In later life he suffered from dementia and Parkinson's disease and survived a heart attack in 2006. He died in Ausgburg, the place of his birth, surrounded by family and friends. An inevitable wave of tributes have poured in from Haller's friends and former team-mates, including some of the most distinguished names in the German game. "Helmut Haller was one of the outstanding personalities in German football", reflected current DFB President Wolfgang Niersbach. "His on-field performances will not be forgotten, especially at the World Cup in 1966." Similar words followed from former national team colleague and strike partner in 1966, Üwe Seeler. "He had been ill for a long time but it is still a shock", said the 75-year-old. "This is a huge loss to accept." President of the DFL Deutscher Fußball Liga Dr. Reinhard Rauball said: "German football has lost an idol of post-war times. He never actually played in the Bundesliga, yet still managed to win over the hearts of the fans. Helmut Haller is unforgettable, particularly for his performances for the national team, especially at the 1966 World Cup." Haller was born in Augsburg on 21 July 1939 and joined hometown club BC Augsburg at the age of nine. He eventually made his senior debut for the club in 1957 and went on to score 24 goals in 85 games over the space of five seasons with the Bavarian outfit. In 1962 he moved to Italy, representing Bologna and Juventus and winning three league titles, before returning to Germany and Augsburg in 1973. He eventually ended his career with his hometown club in 1979, via the briefest of stints at BSV Schwenningen. As well as domestically, Haller is well-known from his time as a German international. He was given his debut under legendary coach Sepp Herberger in 1958 and remained in the squad until 1970. During that time, the stocky striker represented his country at the FIFA World Cups of 1962, 1966 and 1970. It was in England in 1966 that his reputation as one of Die Nationalmannschaft's all-time greats was forged. Assisted by an ensemble cast that included Seeler and Franz Beckenbauer, Haller enjoyed an especially fruitful tournament, scoring six goals, a record bettered only by Portuguese star Eusebio. He also netted the opening goal in the final against England, a game that Germany would eventually go on to lose 4-2 after extra time. Following his retirement, he remained affiliated with Augsburg and acted as the club's vice president after hanging up his boots, eventually seeing his beloved Fuggerstädter ascend to the Bundesliga in 2011.